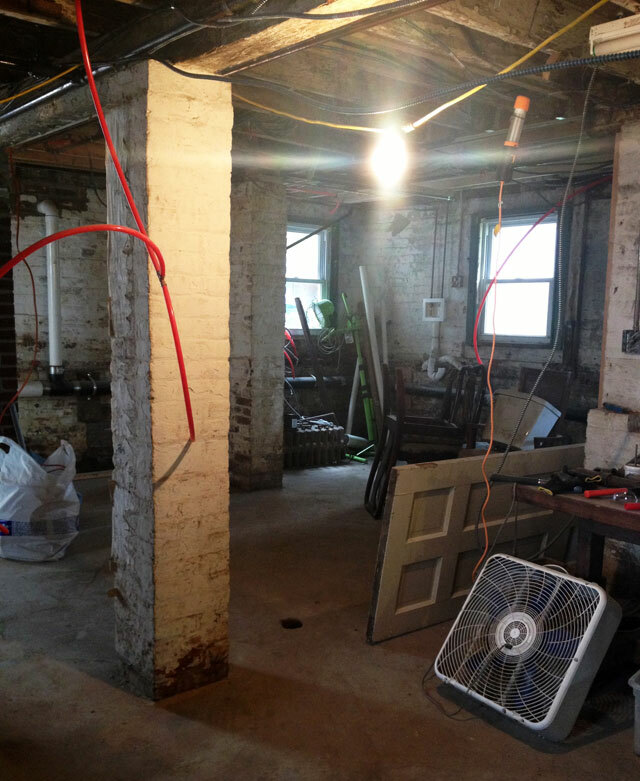 The challenge: finish the basement by Sept. 1. As much as we would like to, we can’t stay at our dreamy beach front sublet forever. We’re moving into the basement of the house to save money while work on the upstairs continues. When they say construction takes twice as long as you anticipate, they actually mean three times as long! 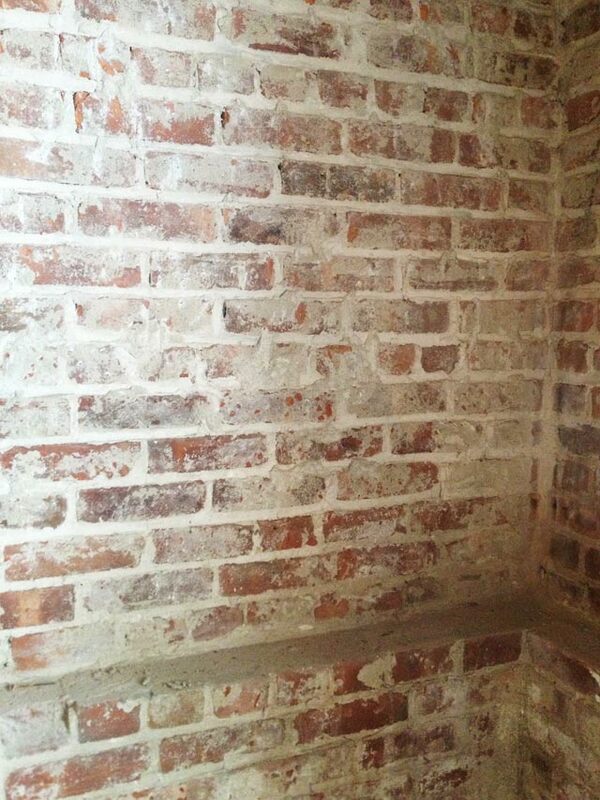 We’ve cleaned, pealed and chipped off cement from the brick walls. The biggest decision for the basement was whether or not to drop a ceiling or clean up the rafters and keep it exposed. After much debate, we decided to clean it up – to gain height and keep an industry look. To get it prepared for painting we de-nailed the beams and cut out old piping and wires. 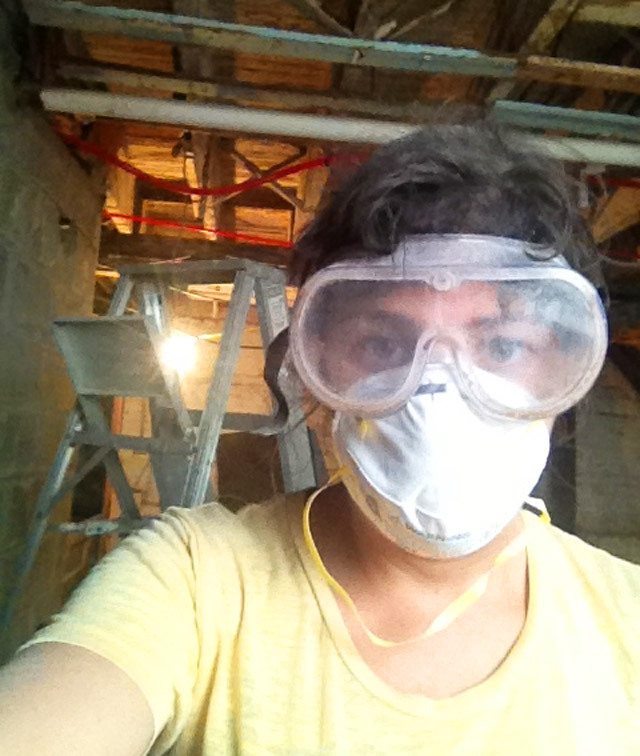 We hired workers to scrap the old paint off the ceiling. This was an intensive amount of work… phew, done! Our neighbor Christian is doing an awesome job with the masonry work for the entry ways and windows. 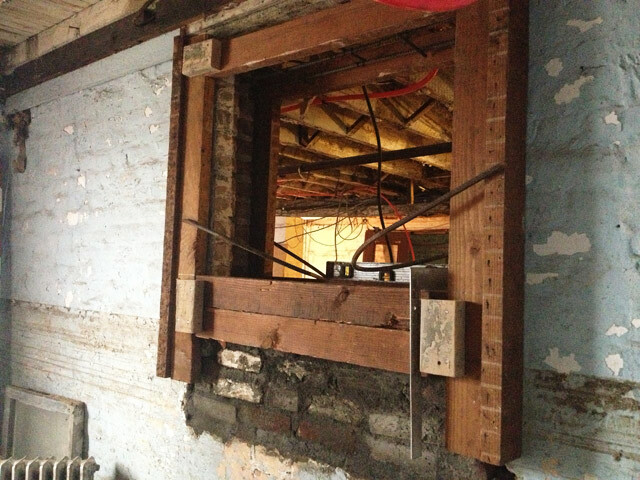 In the area pictured above, we’re adding a beautiful stained glass window my father gave me years back. Christian also built a concrete wall so Pickle can have her own room when she moves in. 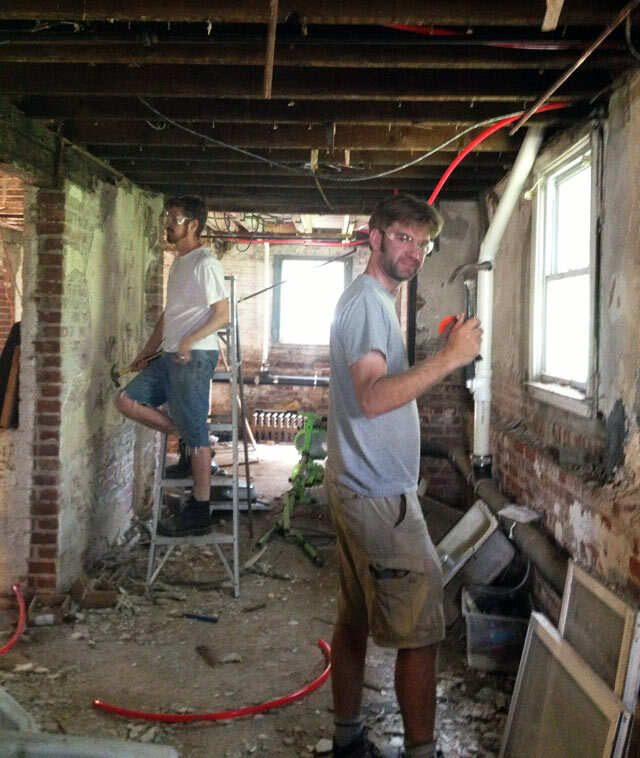 To finish by labor day: We need to block up gaps where the basement ceiling meets the first floor, finish concrete repairs, power wash everything, paint, seal lock the brick, add moldings and hang the windows and doors. Where’s HGTV when you need them!